After terrorists fire two Grad rockets at Israel, the IDF retaliates and hits terror targets in Gaza. 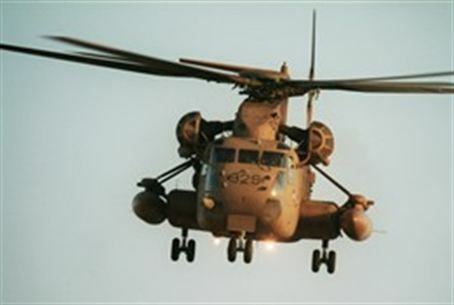 IAF aircraft targeted overnight Wednesday two terror activity sites in the northern Gaza Strip and a smuggling tunnel in the southern Gaza Strip, the IDF spokesman said in a statement. According to the statement, the aircraft scored direct hits and returned safely to their bases. The attacks came in response to the continued firing of rockets by Gaza-based terrorists into Israel in recent days. On Wednesday evening, terrorists fired a Grad rocket at the Lachish region. The rocket fell in an open area between Sderot and Kiryat Gat, close to one of the communities in the Lachish Region. One woman suffered anxiety but no other injuries were reported and no damage was done. Army Radio reported that the “Red Alert” siren was heard in the communities in the area just before the rocket fell. The report noted that this was the farthest that a rocket has been fired since before Operation Cast Lead in Gaza in 2009. Not two hours later, a second Grad rocket was fired from Gaza, slamming into an open area near the city of Ashkelon. There were no reports of physical injuries or damage. The IDF Spokesperson noted that these two attacks have raised the amount of rockets and mortars fired from Gaza at the Israeli home front since the beginning of 2011 to over 340.